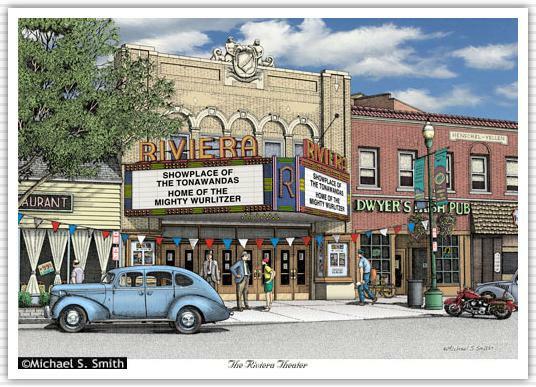 Located in North Tonawanda, NY, the Riviera Theater was designed with an Italian Renaissance theme. The theater was completed in 1926 and houses a Mighty Wurlitzer organ. Listed on the National Register of Historic Places, it has been meticulously restored to its original grandeur.